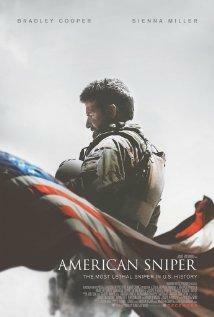 Probably the best rated action movie of the year, the book American Sniper is based on a true story. Client Eastwood went behind the camera to portray the story of a former Navy SEAL sniper deployed in the earliest stages of the Iraq war. Although the movie shows realistic scenes on the battlefield, the critics did not wait one minute of silence to ask for some lights to be shed on the story. In this article, ourpastime.com offers you a sneak peak of the story as well as the latest critics towards the movie and its integrity. Follow us for more information on this subject! Chris Kyle was originally from Texas and was a bull rider traveling the throughout the south winning competition after competition. However, at age 30, after a tough breakup and after watching the twin towers fall on live TV on September 11, Kyle decides to enroll in the army. His accuracy in the shooting range granted him the position of sniper. On the weekend, out at a bar to grab a drink ‘with the boys’, Kyle is going to meet the woman who will later on turn out to be his one and only. During his wedding, Kyle is told that he has been assigned to serve in Iraq and has to go right away. « The story gives an oversight of US operations in Iraq in the early stages of the war». The story gives an oversight of US operations in Iraq in the early stages of the war. Kyle will be permanently marked by his 4 tours in Iraq. However, he will find salvation in helping out other veterans who had it worse than him on the battlefield. His altruism will unfortunately caused his death, as he will succumb from a shooting allegedly perpetuated by a returning soldier Kyle was attempting to help. American Sniper remains an undeniably moving story. However, it did not take long until The Times magazine decided to look deeper into the actual story, based on Kyle’s memoir. Here is what has been reported: Kyle did not get enrolled after a breakup but after a bull riding accident when he was 25; Kyle and his wife actually got married before his first tour; and the fact that the marine allegedly killed Chris Kyle is a sticky situation since the trial for the case is pending. Although Clint Eastwood did a phenomenal job basing this movie on a navy SEAL’s memoir, the critics will always have their little nose stuck in sticky situation. Even though the movie brought us to tears on several occasion, this type of debates should exist in our society. Hats off to Clint Eastwood who can be as brilliant in front of the camera as well as behind it!